Home Lifestyle Stay Healthy & Be Active What Could the UK Learn from European Eating Habits? With recipe videos and TV chefs taking over our screens, and a new health food fad popping up every five minutes you would think that we were a nation of healthy eaters. In reality, with the fast pace of modern life, many of us are just grabbing quick snacks on the go or eating microwave dinners in front of the TV. To examine if we should change our eating habits, recipe box provider Gousto has been comparing our eating habits in the UK with those across Europe. Taking a look at the amount of time other countries spend eating, the meals they chose, and the impact food choices are having on our health and wellbeing. How does eating healthy affect your mental wellbeing? How long does it take you to eat your meals? Not long probably. According to OECD research, in the UK, we spend just 1 hour 18 minutes a day eating our meals. Taking your time to eat your food not only allows you to get greater enjoyment from it, but it can also benefit your health. According to Kathleen M. Zelman, MPH, RD, LD, it takes around 20 minutes from the time you start eating for your brain to let you know your full. Eating at a more leisurely pace allows time for your brain to trigger the signals that it’s full to prevent you overeating. So, should we be dedicating more quality time to our love of food and appreciating what’s on our plate? France takes the longest of any European country to eat their meals, a whopping 2 hours and 13 minutes each day – that’s almost an hour more than we do in the UK. Demark, Spain, Italy, and Greece are all not far behind, all at or above the 2-hour mark. They are spending nearly twice as long eating their meals as people in the UK, accumulating to almost 6 and a half hours more over a week. By denying ourselves the pleasure of dining at a leisurely pace are we putting our health and wellbeing in jeopardy? According to The Independent, in a survey of 2000 adults, two-thirds admit they often eat ‘badly’ because they don’t have the time to prepare nutritious food. While many people recognize the importance of having a healthy diet, busy modern lives have led to us skipping meals, replacing breakfast with coffee and grabbing snacks on the go. We are in such a rush to get onto our next task that we don’t make time to enjoy the food that we are eating or put the time into choosing healthy and nutritious options. Instead, we are picking up quick and cheap calories that are having a knock-on effect on our health according to Margaret Morris, Ph.D. in the American Journal of Clinical Nutrition. With the drive to succeed at work meaning that we often end up at our jobs for extended hours of the day, when we get home we end up just wanting to put our feet up and relax so cooking a healthy meal becomes a chore. When cooking seems like a burden that takes up too much time or energy, we just go for a quick and easy alternative, like putting a frozen pizza in the oven, causing us to miss out on valuable meal times that could be shared with friends or family. Meals together were once the heart of family life but may soon become a distant memory as less than half of families in the UK are eating an evening meal together according to the Sunday Times. Families are spending less time gathered around the dinner table socializing and sharing stories about their days and replacing this with time spent in front of the TV, with 54% of families watching TV together on a daily basis compared to just 48% eating dinner together. This is not only bad for our social skills but also for our physical health with the UK now having one of the highest obesity rates in Europe – Eurostat research states that 19.8% of the UK population is obese compared to just 11.3% in France. According to the Crédoc consumer studies and research institute, in France, 80% of meals are eaten with others allowing for critical social interactions and giving children the chance to learn how to choose healthy foods, the knowledge that they will carry with them through life. According to The Food Marketing Institute Foundation, in countries where the value of sharing meals is appreciated, and meals are seen as an essential time for family bonding and socializing, people have improved longevity, reduced rates of chronic disease and lower rates of obesity. “Encourage the kids to help with meal prep. Teenagers can be in charge of cooking a portion or even an entire meal. Young children can be given simple tasks – tearing up lettuce for a salad, cracking eggs or setting the table. Involving your children will make them more likely to eat the meal and more likely to acquire healthy eating habits.” – Sara Lappe, M.D. The mind has reported that a massive 25% of the population of the UK will experience a mental health issue each year. Could longer, healthier meals shared with loved ones help to reduce these numbers? Research has been done into the link between diet and depression with studies by BMC Medicine showing a healthy diet can reduce the chances of you experiencing depression. 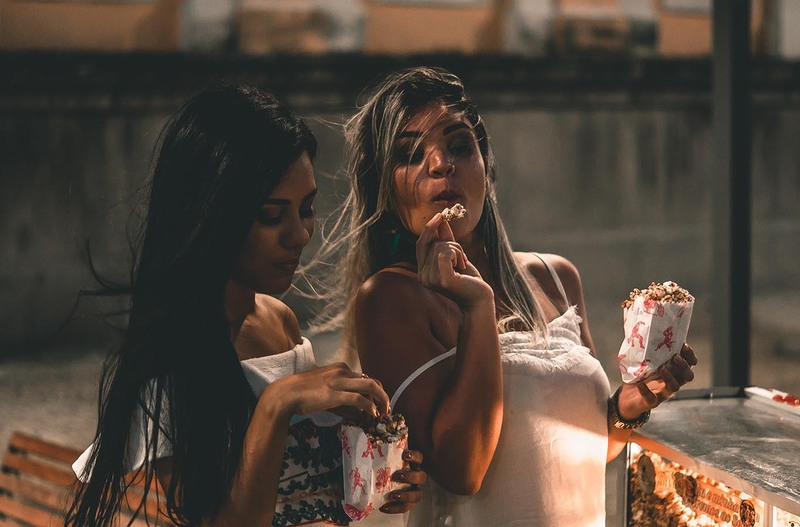 Felice N. Jacka, Ph.D., has also conducted research that supports this claim showing that people who consume junk food and unhealthy foods have an increased risk of experiencing depression, particularly in adolescence. Sitting around the table to share a meal gives young children and teenagers the chance to connect with their families and friends. Conversations over the dinner table provide them with the opportunity to seek advice, air any anxieties they experienced during their day and look for support. Family meals also give your whole family a stable routine that can positively impact on their mental wellbeing. A Columbia University study found that 71% of teenagers said they consider talking, catching up, and spending time with family members as the best part of family dinners. Meals enjoyed as a family can instill healthy eating habits from a young age, positively impact both physical and mental health and provide necessary social interactions. We all get caught up in our lives, the busy lifestyles most of us have mean sometimes we let things fall through the cracks, but we should try to organize more family meals during the week. Once you start eating together as a family you will notice the positive impact it is having on your life through healthier food choices and family bonding; once you start, you’ll realize that you’ve been missing out all this time.